Today in Masonic History Louis Philippe II, Duke of Orléans is born in 1747. Louis Philippe II, Duke of Orléans was a French aristocrat. Philippe was born in Château de Saint-Cloud one of the royal palaces just west of Paris. In 1778, Philippe had become a member of the French Navy. He would take part in the battle of Ushant. Ushant is a small island at the mouth of the English Channel. Although the battle took place off the coast of Europe the engagement was a direct result of France's involvement with the American Revolution. He would be removed from duty in part because of Marie Antoinette's hatred of him, he was also perceived as incompetent and something of a coward. Philippe would join the Jacobin Club (no connection with the British Jacobite). The Jacobin club spread revolutionary ideas and were a major part of the coming French Revolution. Philippe was a cousin of King Louis XVI and as a member of the House of Bourbon had access to various properties around France. Specifically he would open the Palais-Royal to Jacobins. Because the Palais-Royal was a royal palace it was exempt from government censorship. The Jacobins would use the Palais-Royal to further their revolutionary ideas. Philippe would also around this time become fascinated with the Enlightenment. He would often visit Britain and would become friends with the Prince of Wales, the future King George IV. Philippe would make anglomanie the new fashion in France obsessing about all things British. In the years leading up to the French Revolution Philippe would continue to spread revolutionary propaganda and enlightenment ideology. 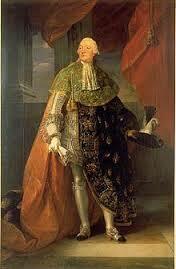 Many believed that he was working to displace King Louis XVI and put himself on the throne. Despite the rumors that this was the case, Philippe expressed no interest in political power. He would use his personal wealth to help feed people in and around Paris. After the beginning of the French revolution, as one of it's architects, Philippe was in a position to help protect people who were under suspicion of the revolutionary regime. He would change his name Philippe Égalité, to try to insulate himself from his House of Bourbon connection. Despite Philippe's efforts and his adherence republican principles and values, Philippe along with all the remaining member of the House of Bourbon left in France were arrested during the Reign of Terror on April 5th, 1793. Philippe was fast tracked for trial and on November 6th, 1793 was tried, convicted and executed by guillotine all in the same day. Accounts of his ordeal starting in April of 1793 and ending with his execution in November of that same year had him as calm and composed throughout. Philippe was the Grand Master of the Grand Orient de France from 1771 to 1793. He would distance himself from Freemasonry in a letter dated January 1793. The Grand Orient de France would vacate his position in December of 1793.